Dimitris Kyriazakos at Ekka Yachts contacts me to say that he's closed on the sale of the 24.3m fast motor yacht Shango. 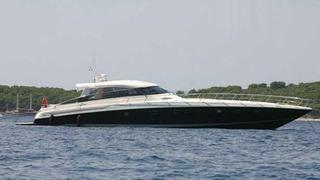 A Baia 80 Panther yacht, she was built in 2003 and two MTU 16V 2000 M91 engines give her a cruising speed of 41 knots. Shango was asking €1 million.